Welcome to November! The year is flying by. I'm always trying to use my Ali Edward's Story kits in many different ways to try and kill each kit. I got my Best kit last week and broke into it immediately. The base of the card is from Pinkfish Studios Oh Joy 6x6 pad. 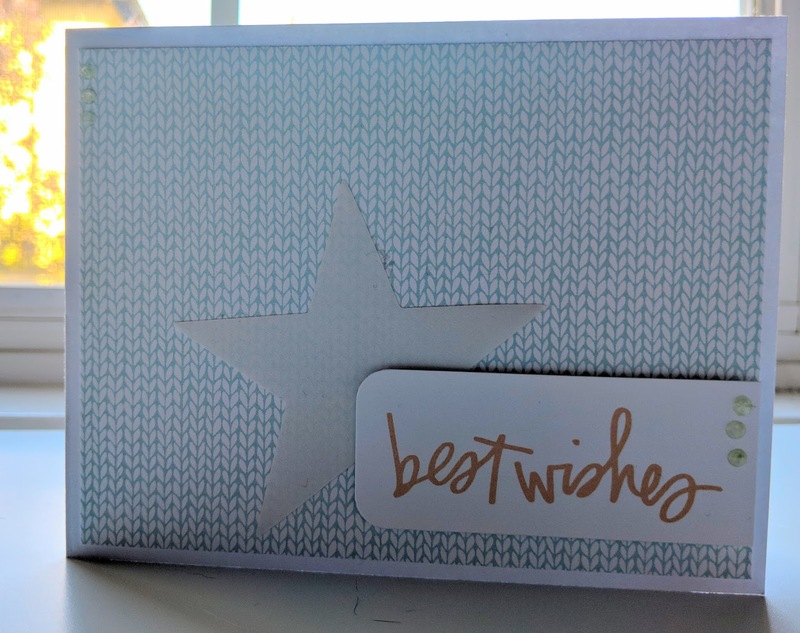 I cut down a 3x4 card that said Best Wishes and rounded 2 of the corners. I then grabbed one of the big stars from the kit which have a cool texture to them. I put it down with some regular dot adhesive and it can't be seen. I used foam tape to attach the greeting and added a few glossy accents to give a finishing touch.